What would you say if you found out that a surgeon used the same surgical instrument for every surgery he performed? I’m sure that in the right hands, a particular scalpel, or retractor, or “fitzer valve” (for you Fletch fans), could actually do some good for a number of surgical procedures. Wouldn’t you rather he had the right tool for the job, though? I’ve been in the OR - there are dozens of tools and devices available, and the surgeon carefully chooses the right equipment for each procedure. Now, surgeons even use robots and computers to ensure that everything they do is correct to the millimeter. It’s a far cry from decades ago when they were limited by the technology available to them. Not surprisingly, the new technology yields better results. Now think about selection tools. To their credit, many hospitals have read the research and understand that behavioral assessments, combined with structured behavioral interviewing, are more predictive of performance than traditional, unstructured selection procedures. But then they are like the surgeon from 50 years ago, pulling some basic personality inventory or test from the shelf and doing the best they can with it. No doubt, a well-designed basic personality test is predictive, to some degree. But just like the surgeon will see better outcomes with specialized equipment, you’ll see better results with assessment tools and technology designed for the situation. You can try to use off-the-shelf test “ABC” for every industry and every position and hope for the best, or you can incrementally increase accuracy by evaluating nurses with a nursing assessment, managers with a management assessment, and physicians with a physician assessment. Then you can design exactly “how” you use the tools – where in the hiring process, in conjunction with other tools, with tailored scoring to match your organization’s needs and goals, and so on. Now you are working in the era of the surgical robot. 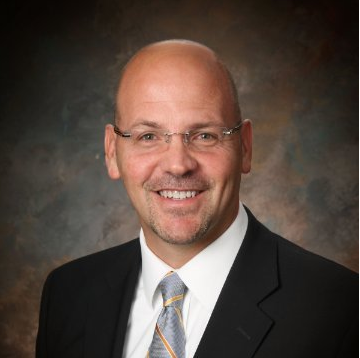 Nearly every hospital states somewhere in their annual report, “ou r people are our most valuable asset.” More often than not, though, their practices don’t reflect that vision. They use outdated, unproven, unstructured approaches to selection and development and wonder why they don’t have the culture or results they seek. 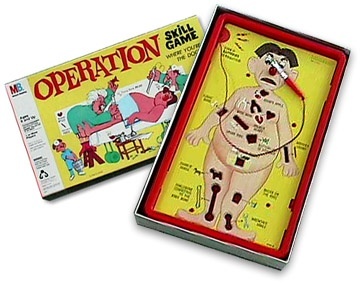 The surgical robot is available, but they may as well be playing [the children’s game] Operation. In the meantime, check out the Healthcare Hiring Essentials eBook below, which addresses the real cost of physician turnover and how to fix it, as well as the patient satisfaction scores and why they matter in employee selection.